If you have a son or daughter graduating from college this spring, or if you're the son or daughter in question reading this, it may have occurred to you that figuring out how to pay for college was the easy part. Your real financial education is about to start: that is, how to best manage the money you're going to make. 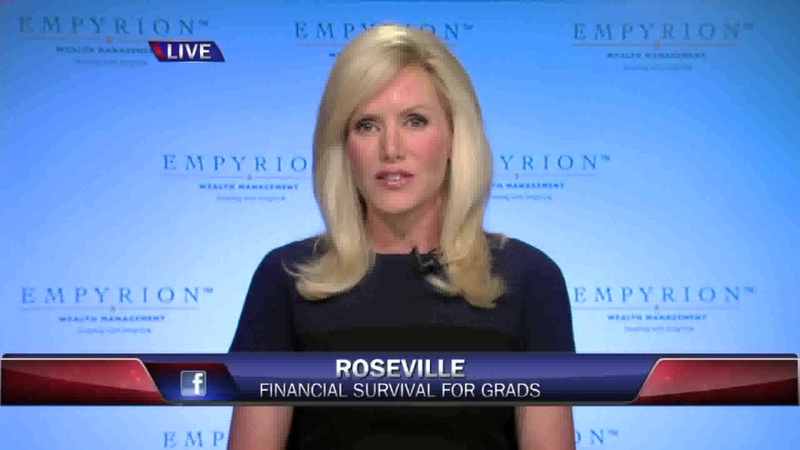 U.S. News tapped financial experts to compile these money management tips that arguably all new graduates should learn. That first job: It isn't only about your salary. When you're looking for your first post-college job and hoping it helps advance your career, remember to think beyond the numbers on the paycheck, advises Kristen Robinson, a Boston-based senior vice president at Fidelity Investments whose specialty is helping women and young investors. "While it may seem natural to focus on just the salary, remember there's more to evaluate when thinking about a job's total financial compensation," Robinson says, adding that you should look at whether you're getting medical and retirement savings benefits that might make a difference to your bottom line if the actual money you're getting every week seems paltry. She cites a Fidelity Investment study finding that 76 percent of millennials relocate for a new job. "Cost of living and taxes should be top of mind when evaluating a job, as they can vary dramatically across the country," she says. In other words, you could be fooled into thinking you have a fat salary or end up turning down a well-compensated job if you haven't factored in the benefits, cost of living or taxes. Start saving for retirement immediately. You may decide it's not feasible to enjoy the retirement benefits your company is offering if you suspect you won't be there long. But if the offer is there, take advantage of it anyway, says Lucas Casarez, a wealth advisor at Keystone Financial Services in Loveland, Colorado. "I worked full time while attending college," says Casarez, who graduated from Colorado State University in 2014 but has worked in banks and credit unions since 2005. "One of the mistakes I made in the first few years on the job was thinking that my employment as a bank teller was temporary, and it didn't make sense to take advantage of the employee stock purchase plan or employer 401(k)." But if Casarez could redo his decisions, he would have started in both programs as soon as his employer allowed. "Many college grads join the workforce at an entry-level position," he says. "If this describes you, you may be tempted to delay participation in the employer-provided programs, but it definitely doesn't hurt to start ASAP. Even if you do not become fully vested in the retirement plan, all of your contributions are yours to keep and may be rolled over to a new employer's plan or into an individual retirement account." Be cautious about accruing credit card debt. Yes, you've heard that before, especially growing up in the recession. Yet it's so easy to forget when you're on your own, eating ramen noodles and sitting in a lawn chair in your studio apartment. But when you hear your inner voice urging you to splurge on some new furniture, instead listen to Paul Kuzmickas, a bankruptcy attorney in Cleveland, Ohio. Many of his clients are recent college graduates who don't think about the long-term consequences of having too much credit card debt. "Credit card purchases I often see include the latest smartphones, expensive laptops or paying for vacations without realizing how quickly credit card debt and the resulting interest can add up," Kuzmickas says. None of this means you shouldn't use a credit card. "Some debt can be beneficial," Kuzmickas says, referring to how a solid credit history will someday allow you to get a low-interest loan for something like a car or house. "That is how much additional you ended up paying for the funds you borrowed to make your purchase," Casarez says. "Typically, looking back at the interest charges, you realize that the purchase ended up not being worth it. Personally, when I first looked at that part of the statement, it changed everything. I could very easily think of other things I would have liked to spend my hard-earned money on than interest to a credit card company." Save money. Here's how. OK, everyone knows that it's important to save money. But if you're wondering how, the moment you have a job, when you're setting up your direct deposit, "automatically split your payroll deposit between your checking account and a savings account or two," says Arlynn Peavey, a certified public accountant in Fremont, California. She gave that advice to her two college-age sons. She recommends that if you can funnel some of your paycheck into two savings accounts, use the first as a general savings and the second for emergencies or your vacation fund. "Even $10 or $15 per pay period will add up," she says. "The money will be there when needed and you won't miss it or spend it, because the amount will be processed automatically." Create a budget. This is probably the most important advice you can take, and probably the easiest to ignore if you don't get into the habit of not just creating a budget, but following and continually updating it. After all, you might start off the year spending a certain amount of money but spending something wildly different by the end the year, after getting a new cellphone plan and joining a gym. "Yes it's cliché, but it's imperative," says Erin Ellis, an accredited financial counselor at Philadelphia Federal Credit Union. "For many college grads, this can be the first time they're experiencing life with a disposable income. Don't let that throw you off course." Ellis says that if you don't create a budget, "paychecks tend to come and go," and that, of course, can be a problem if your money runs out before the next direct deposit. "Many assume that budgeting means limiting or restricting one's self," Eillis says. "Rather, creating a budget tells you exactly what you have so that you can spend and save with conviction."